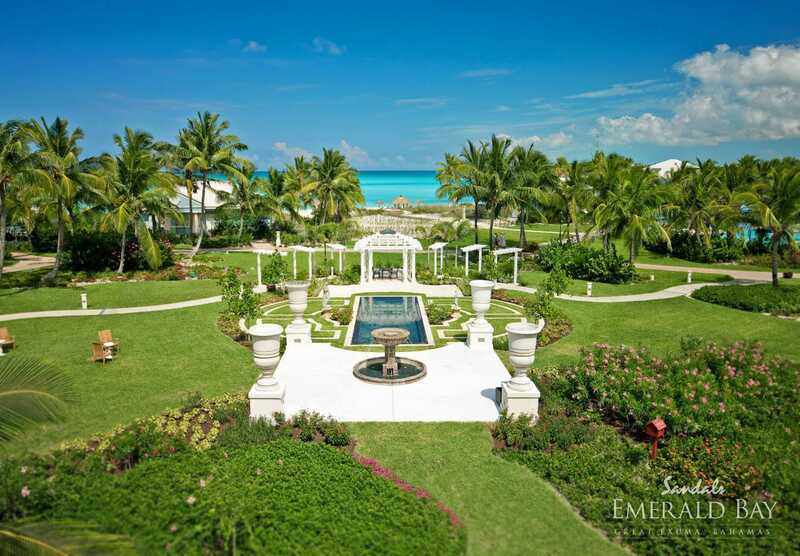 Head to the exotic Bahamian Out Islands to experience true luxury at Sandals Emerald Bay. 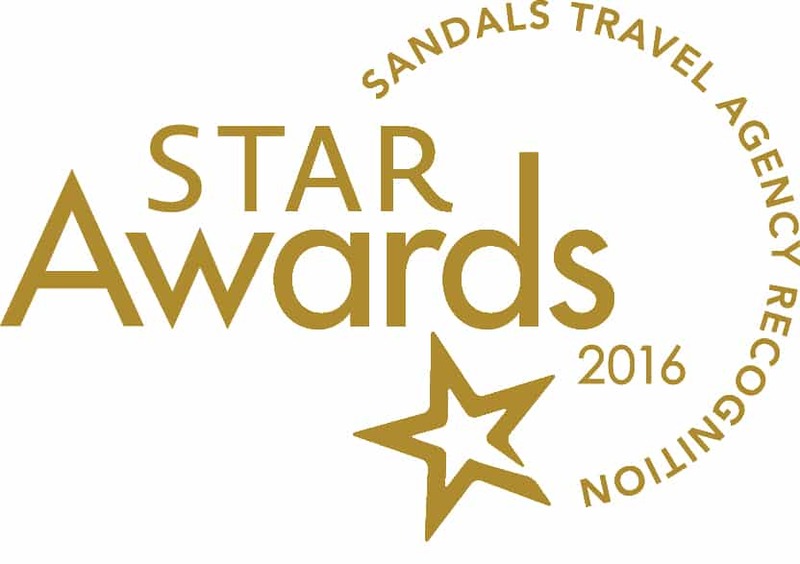 Pair the easy-going rhythms of Bahamian life with a private romantic escape at a luxury Sandals property that pulls out all the stops. One of the most beautiful all inclusive resorts adults only, Sandals Emerald Bay resort is designed to ensure you’ll feel like you’re the only ones there. 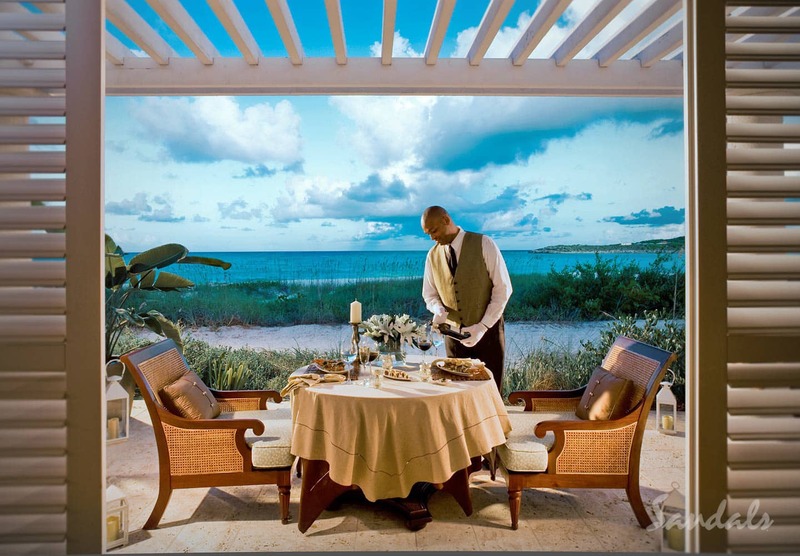 Their service reigns supreme and elegant villas and Bahamian-style architecture transport you to another place and time. Escape to a pampered paradise where you’ll be surrounded by 500 tropical acres and be privy to a mile-long beach, just begging you to sink your toes into its sand. World-class restaurants, exotic adventures, and three refreshing pools — including a half acre, zero-entry pool with a dramatic fire pit right in the middle — await you at the luxury Sandals Emerald Bay resort. 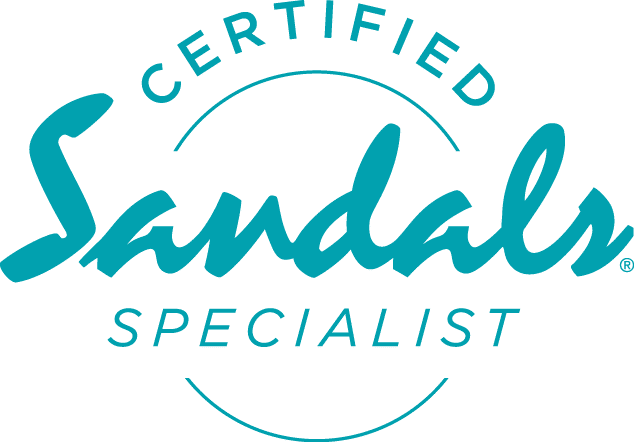 Sandals Resort has made a name for itself as an adults only all inclusive resort brand that goes above and beyond for its guests — and the service you receive at Sandals most luxurious Emerald Bay resort is no different. Opt for butler service by booking a butler-level suite if you want to experience a truly pampering holiday. The butlers at this all inclusive luxury resort will cater to your every whim. Perhaps that’s making restaurant reservations or reserving your own private cabana on the beach. It may even mean having your butler draw a warm bath for you back in your suite! Whatever you desire, Sandals Emerald Bay’s expertly trained butlers will see that you receive it and will make it your most memorable and romantic vacation ever! 2. Swim with the Pigs — Only at Sandals Emerald Bay! You may have seen the delightful pictures making the rounds on social media … the famous swimming pigs of Exuma! Enjoy this once-in-a-lifetime experience for yourself at this outstanding Sandals Emerald Bay resort. The resort will hook you up with a Swimming Pigs Adventure tour through their Island Routes tour company. Snorkel with the pigs, beach comb on the white sand, and snap some truly unforgettable pictures to share with jealous friends back home. 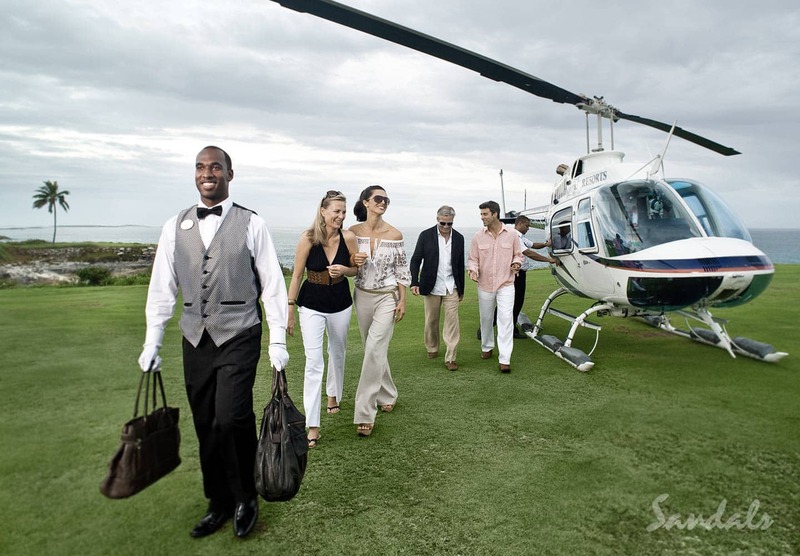 Another exclusive Sandals Emerald Bay excursion that you just can’t miss? A day out on the water on your own private bone fishing tour. A certified guide will teach you how to fish the sandy flats of Exuma Bay — and show you the best secret fishing spots. Bone fishing is world-renowned in this area of the Bahamas, so expert anglers will fall in love with this intimate excursion. Get ready for a true island escape. At this romantic and luxurious Sandals Emerald Bay resort, it’s all about the stunning, white sand beach. Spend your days sprawled in powder-soft sand, butlers bringing you ice-cold tropical drinks from the bar. On this private beach, you will truly feel like you’re worlds away from every care and worry. Slip into a relaxed Caribbean state of mind as you laze away the days overlooking the idyllic waters of the Exumas. Golf lovers rejoice — at the award-winning Sandals Emerald Bay Reef Golf Club, you get to enjoy a round or two in pure paradise on a Greg Norman-designed course. Considered one of the best courses in all of the Caribbean by Travel + Leisure Golf, this lush golf course features a scenic ocean-side location and challenging fairways. Even better? Butler-level guests get unlimited play! Ready to Book Your Best Adults Only Vacation Ever? 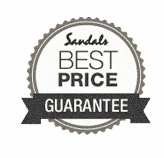 Check out our Sandals vacation deals or get in touch with our Southern Travel Augusta team and online travel experts today to so they can help you build your own dream vacation at one of the most exquisite and sophisticated all inclusive resorts in the exotic Bahamian Out Islands.